Absolutely no one wants to experience water damage at their home or business. Unfortunately, sometimes many people don’t put much thought into waterproofing in The Village, OK until the damage is already done. I’d love to be able to show you the best time to handle your waterproofing issues is before you’ve suffered any losses. It’s a smart and affordable improvement to make to your structure that can really end up saving you both money and headaches in the future. Here’s some things to keep in mind when considering waterproofing in your The Village home or business. You’re getting it from an expert. 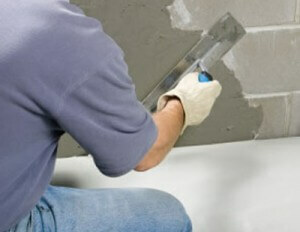 Here, at Bill’s Custom Concrete it’s one of the things we specialize in and we take a great deal of pride in our work. I’m Bill from Bill’s Custom Concrete, Inc. and I’m glad to have had this chance to give you some tips on waterproofing in The Village, Oklahoma. I’d love to hear from you, discuss your project and give you a free and affordable estimate. We have had an unusually wet year in Oklahoma which has brought attention to many homeowners and businesses that have waterproofing issues. Don’t let any damage be done to your home or business because you did not waterproof your structure properly. Call us today at (405)755-3975 to schedule your free estimate. You can also submit a request for us to call you by using our contact form here.